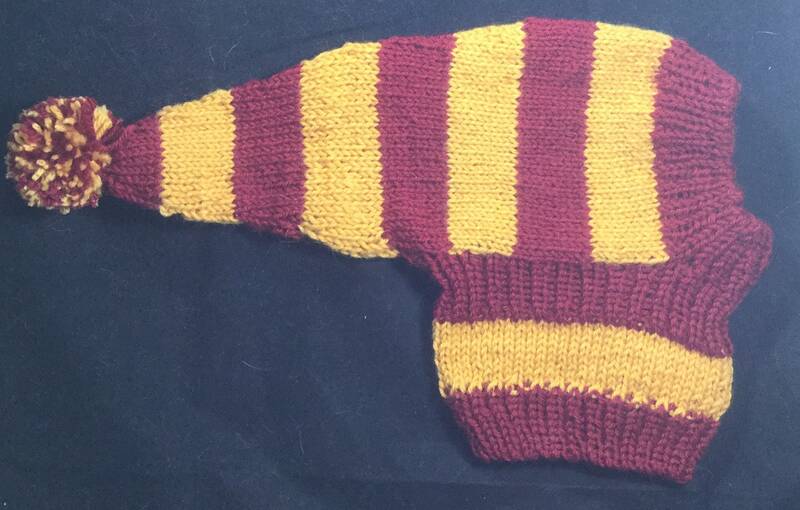 Your hound will look adorable and stay warm in this knitted hat with snood and Pom Pom made from wool blend yarn imported from France. 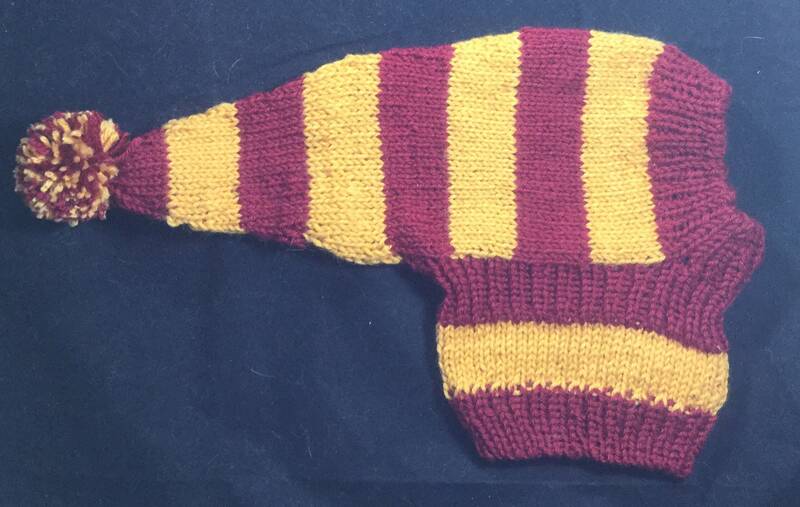 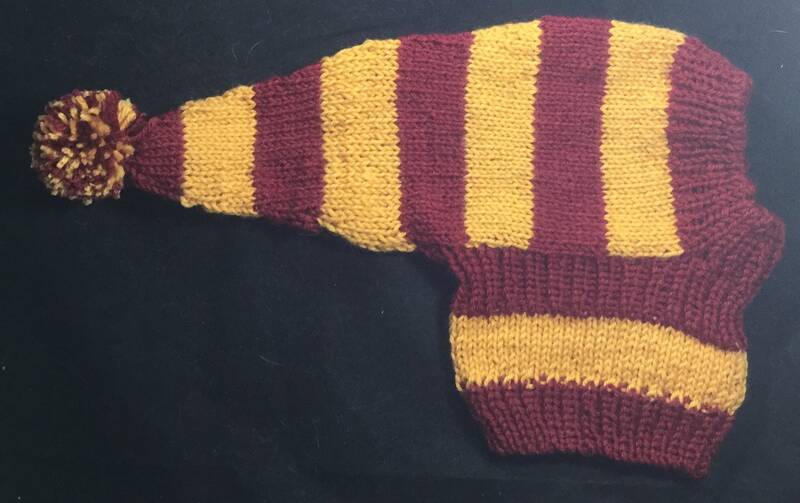 The striped hat is on the Gryfindor Colors from Harry Potter. 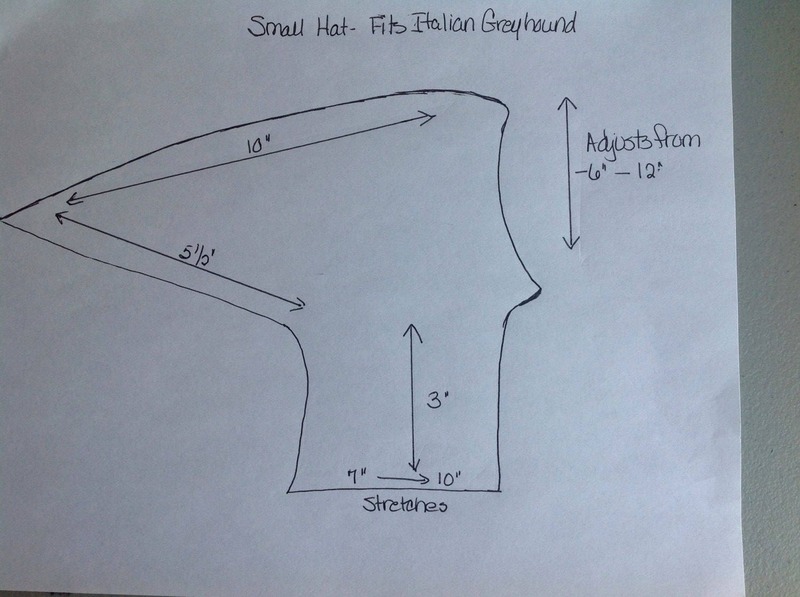 This hat follows the same pattern as the larger hats for full size hounds but is knit on smaller needles with very fine yarn so that it will fit a small dog without seeming to be chunky.